I first saw Notre Dame de Paris when I was 14 years old, and it was love at first sight. I grew up in western Canada where the majority of the buildings that surrounded me had been built in the past 50 years. To see a building older than 100 years was rare. Over 800 years? Never. And yet there I was, my first time in Europe, sitting in Notre Dame, utterly in awe of what I was seeing. I could have sat there all day. My feelings for Notre Dame have not changed in the years since. People often ask me why I love a building to the extent that I do, and all I can say is that Notre Dame has been there for me when I needed it most. Specifically, five years ago when I moved to Paris without a job, without knowing a single person in France, and without the ability to speak French. In hindsight, it was a ludicrous move on my part, but at the time I was still fearless enough to see the endeavour as one great adventure. Perhaps unsurprisingly, it only took a couple of weeks for my grand adventure to implode spectacularly, and when I didn’t know where to go, I went to Notre Dame. 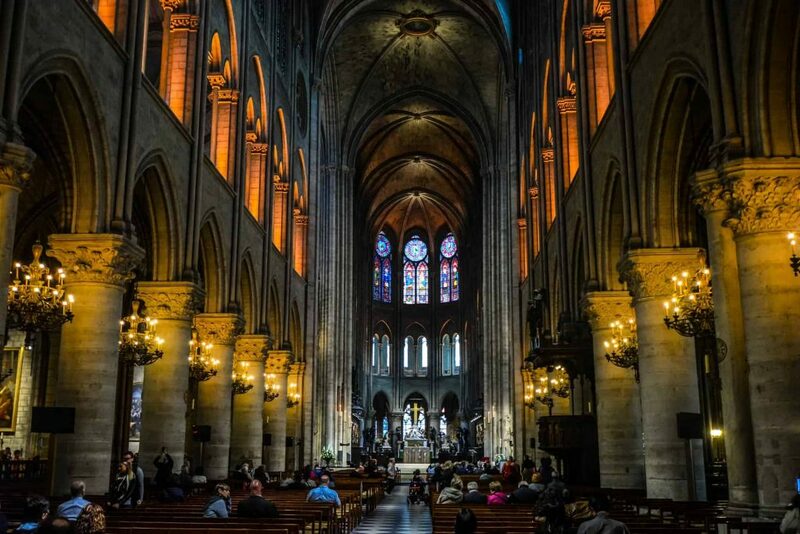 In that moment, when I had never felt more alone or lost in my life, I sat in the seats of Notre Dame and let the beauty of that building heal my heart. Notre Dame de Paris has given me so much since that night. I joined an organization called CASA shortly afterwards to become one of the cathedral’s official tour guides. It was at Notre Dame that I discovered my passion for tour guiding, and I have now turned that passion into my career. Before I had friends in Paris, Notre Dame gave me peers. It gave me a community. It made me feel at home. So much so that I can still remember the exact moment, as I was staring at Notre Dame, when I made the fateful decision to make Paris my home. Five years later, it is the best decision I’ve ever made in my life. Last night I cried as I watched Notre Dame burn. My heart broke for the building I love and which has given me so much. But this morning we will begin to rebuild. Notre Dame has survived revolutions, wars, and occupations. It will most certainly survive this. To everyone who has visited Notre Dame with me in the past, thank you for letting me share this special building with you. And to everyone else, I hope I will be able to share its story with you someday very soon.